In the Dirt at Dixie | Just Shooting Memories! 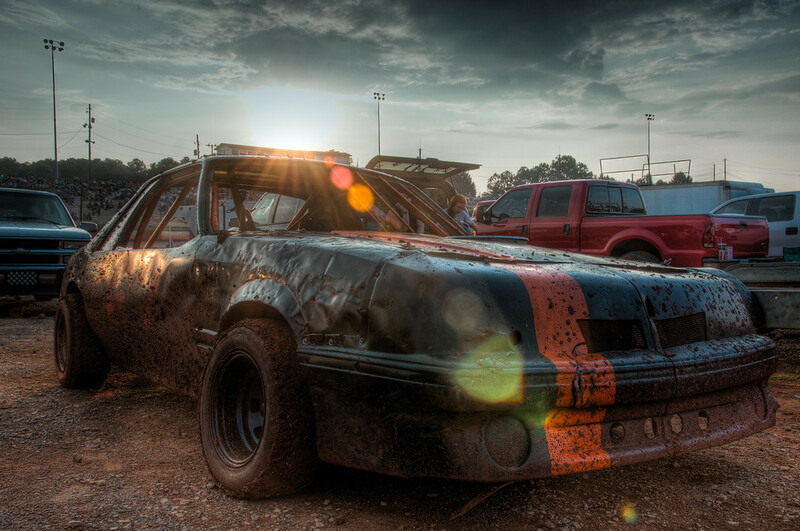 Shooting at a dirt race track was tons of fun and challenging. The lighting is terrible, it is horribly loud and there is the ever present dirt. Fortunately, I got a pit pass, but it was only for me and not the rest of the family or my van. Nothing leaves a dirt track clean and that included my camera gear. Most of the time, I stood on the back of a four wheeler in turn two and got some good action shots. That was until one car hit the inside wall just beside me. I missed most of the mud, but not the camera.